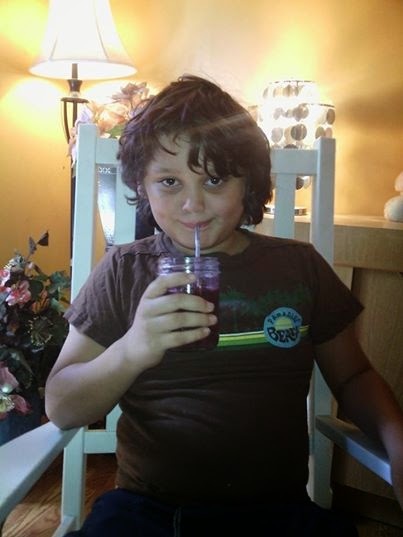 7 Kids and Us: Jamba Juice New Flavors are Red and Blue Fusion + Giveaway! Jamba Juice New Flavors are Red and Blue Fusion + Giveaway! My boys and I love the Jamba at Home Smoothies. Recently, we had tried the Green Fusion and it quickly became a favorite. Our daily afterschool treat now is a smoothie. I can't believe how many great fruits and veggies Jamba packs in each one! 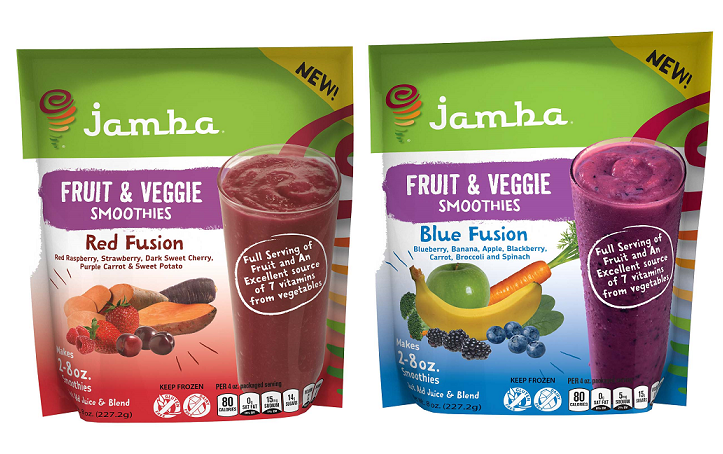 The new flavors of Jamba® At-Home fruit and vegetable smoothies include Red Fusion and Blue Fusion. They are made with whole frozen fruit such as dark cherries, strawberries and blueberries and paired with vitamin-rich vegetables such as purple carrot, sweet potato and spinach. They are gluten-free, dairy-free and only 130 calories (or less) per 8 oz glass. Plus they contain 100% of the recommended dietary allowance of vitamin C, 40 percent of vitamin A and 25 percent of vitamins D, E, K, B1 and B6 with each 8 oz serving. You can find these at grocery and mass merchandise stores nationwide for a suggested retail price of $2.99 – $3.99. Make sure you Like JambaAtHomeSmoothie on Facebook to keep up with all the latest products and promotions. Now on to the giveaway! One reader will win FIVE free coupons to try the product for themselves. No, I have never had a smoothie with vegetables.